For one of a kind style in your child’s bedroom or guest room, choose the Turkey Creek Caramel Full Captain’s Bed! 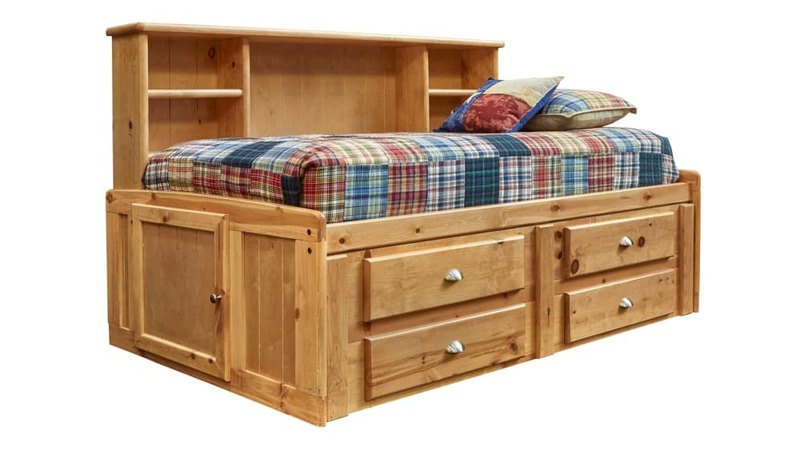 This beautiful Made in America bed features four spacious storage drawers, and functional shelving directly next to the mattress. Trust in Made in America to last for generations in your home and family! 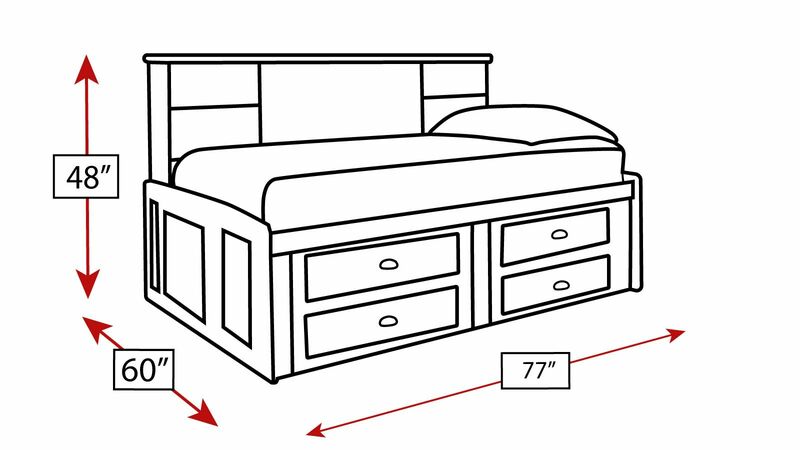 Thanks to solid pine construction, you can rely on this bed for years. A hand-applied finish helps this bed remain durable. Convenient storage is perfect for blankets, sheets, towels, or anything at all.